Why not get rid of the clutter of all of the individual remotes? Future Home Technologies can help you by programming a Universal Remote Control that will easily operate your TV and all of the equipment in your A/V closet. Better still, we program in sufficient control that even if a child or the babysitter hits a wrong button, the program will fix it. Combining the remote with an RF base means your equipment can be hidden in a cabinet or closet and the remote will still work–you don’t have to point it at the TV. We primarily support Universal Remote Control (URC) line of remotes. The remotes will control not only your family room, but also speakers running off the second zone of your receiver. We are an authorized Universal Remote Control dealer. 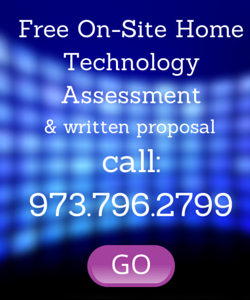 Contact us today for your free in-home estimate on all our home technology services. It can be accessed from a smartphone, computer or iPad and will work with Control4 automation. 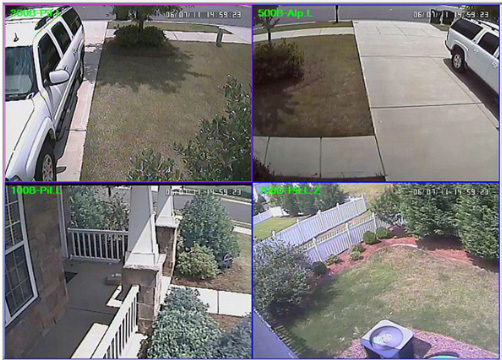 Call today for a free on-site estimate and set up a surveillance system for your peace of mind. Contact us today for a free in-home estimate on all our home technology and integration solutions! Everything is working great! Your team has been super, one less hassle to worry about! Thank you. We love the system! The installation of the wall-mounted TV etc. went well and we are enjoying the view and sound! Everything is working fine. We found the installers were very professional and helpful. Thanks again. I responded to your ad for a Sony blu-ray DVD player installed for $325. That is a great deal. For me to go to a Best Buy and pick one up and try to install it myself would have been a huge effort. Your guy came in, set it up and showed me how to use it. It was so easy. He even updated my remote so it fits in my home theater system seamlessly. I’ve started ordering blu-ray DVDs from Netflix and .the picture is just awesome. It really brings out the high definition picture on my 50” plasma TV.